The people who produce the William-Sonoma catalog are diabolical. Dinner plates in soft pastels, serving dishes with whimsical bunnies, botanical linens all scattered with charming alabaster eggs. It arrives in the middle of the grey, mucky winter and makes me want to whip out my Am Ex card and I don’t even set an Easter table. The Easter catalog always reminds me of my Aunt Bev, my mother’s best friend, Aunt of my heart. 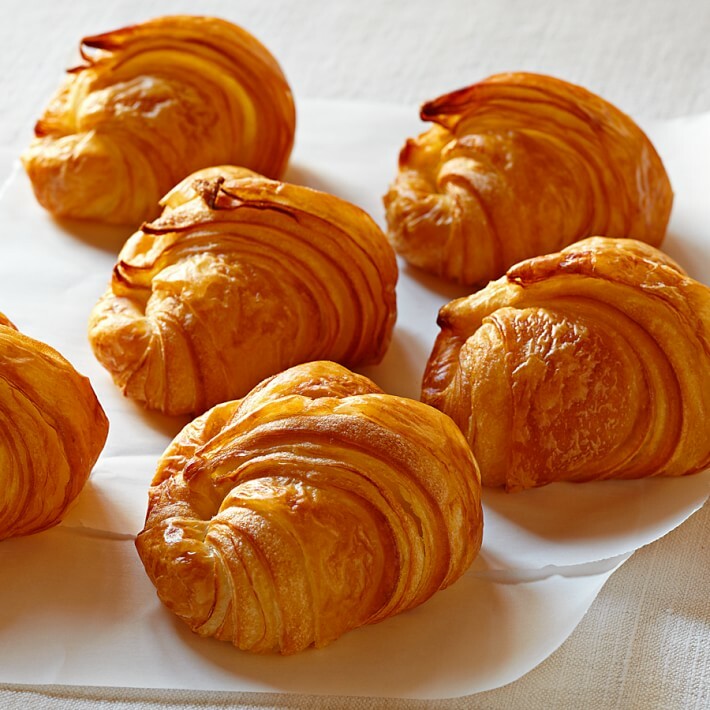 For several years before she died I sent her a shipment of mini butter croissants from William-Sonoma as an Easter present. She adored the indulgence of the fancy bread, but would never buy such a thing for herself. My mother, were she alive, I would never insult by gifting her with food. Ceramic bunnies & chicks for the table, of which she already had a profusion, would have been more welcome. I always think of my mom and her friend – Big Alice & Bev – during Women’s History month. They weren’t feminists or activists. No accomplishments or achievements of note. They were too busy raising kids and trying to make ends meet to be political. They didn’t agitate for higher wages, they took overtime, or a part-time job, to make more money. There are millions of women like them the world over. Thinking about International Women’s Day, and the truth of our society requiring official reminders like these to counter pervasive inequities, I noticed how easy it is get trapped in the accomplishment loop. Celebrating people for doing the extraordinary, the unusual, the brave. Firsts. Ground-breakers. Onlys. L., with her lions heart doing the right thing because she knows its right. When I need compassion, truth and strength I know you are there. S., living through some terrible, awful. You are so strong, smart and cool I can’t wait to see what you do when you are on the other side of this mess. B.R., who has more energy, heart and ambition than anyone I know. I think of you when I need to remember the world of endless possibilities. J., who always reminds me what happens when you let fear rule. S.C., who is compassionate and kind and an example of being brave about your dreams. I want to be more like you when I grow up. A.J.A., who takes a chance on people and is willing to change. I can only follow your example. M.S., who has lived long enough to do nearly everything, know nearly everyone, and still be out there having fun. I can only hope. I.J., whose feminist, socialist heart is as tender as it is fierce. Who says the pursuit of social justice can’t be paved with kindness and cookies. So many women doing what needs done – friends, neighbors, cousins, coworkers – too many name and count. Every day. I acknowledge your achievements and look to the day when we do not need International Women’s Day, Women’s History Month, or Black History month to know the sum of who we are. Until then, have a croissant and sing along. I’ve never actually eaten one. I have to assume they are good and they certainly made my Aunt happy! Hats off to Alice Shaffer and Aunt Bev. They were great women in my book. Raising kids and feeding your family ARE achievements. Love to them, and to all women doing the humble, thankless work which keeps other folks doing, learning, and the world in general moving forward. They are sheroes, too.